JASPER, Tenn. — When the Jasper Board of Mayor and Aldermen voted 3-2 to dismiss Fire Chief Chris Rector in February, city leaders planned to hire a full-time chief, which was against the wishes of Mayor Paul Evans. The board interviewed J.P. Durham, Josh Huffstuddler and Ryan Meeks for the full-time position two weeks ago. "I haven't made it a secret," Evans said. "I'm not in favor of a full-time fire chief." He said Jasper couldn't afford to fund that position and recommended that the board hire Huffstuddler and Meeks as co-chiefs at part-time pay. At its April meeting, the board voted unanimously to do so. Huffstuddler and Meeks agreed to share the job for the same part-time pay Rector had received, and Alderman Josh Jennings said he appreciated their offer. "It gives us coverage seven days a week, and so we have the equivalent now of a full-time chief at a part-time price," Jennings said. 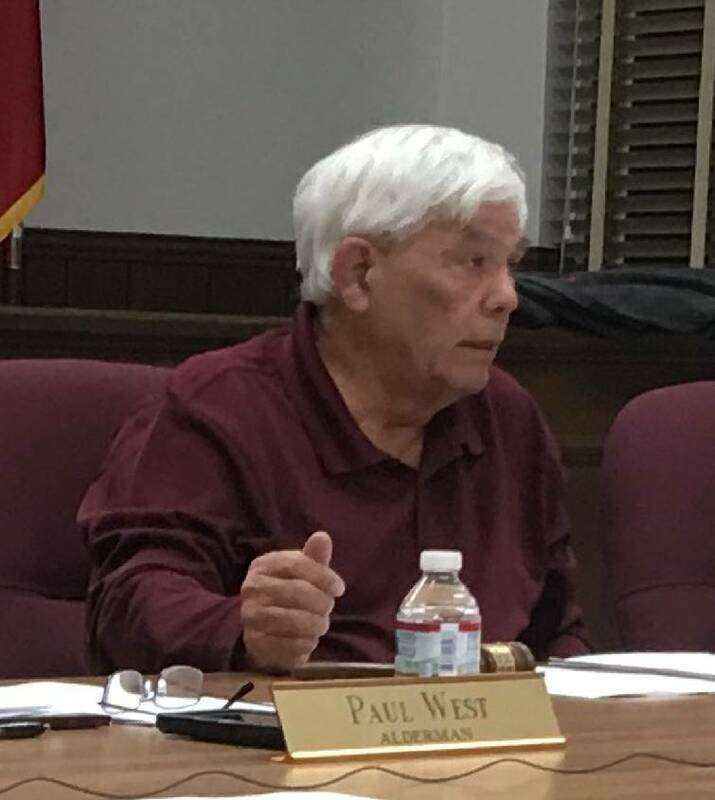 In other fire department business, Vice Mayor Paul West said Jasper has a proposal from Randall Brackett Fire Truck Repair in Rockmart, Ga., to fix Engine 1 for $13,041 and Engine 3 for $15,708 after estimates were solicited from three companies. Evans said the board would have to approve a budget amendment to get the money for the repairs. "With what's already been spent, we're already well over [budget]," he said. Evans asked if there was anything else the fire department needed, so the board could do one budget amendment to cover everything and "get it over with." Alderman Jason Turner said Jasper's fire department has a demonstration thermal imaging camera that's been used on three or four calls recently, as well as a gas meter that could be added to the purchase list. No purchase order was ever approved for that equipment, Evans said. "I've got a bill for a thermal imaging thing — that's a toy," he said. "That's not something that's an emergency need." The thermal imaging camera was used at Jasper Elementary School recently to isolate a fire in fan. "The panel was incorrectly numbered," Turner said. "[The problem] was down a totally different hall. The thermal imaging camera found the fan that was on fire." He said the camera was a "demo" that could be sent back and hadn't been purchased. Later, Evans asked if any gear had been thrown away during the cleanup at Jasper's fire hall over the last two months. West said some old helmets from the 1990s had been discarded. Two helmets were thrown in the garbage because it would be an insurance liability for firemen to wear them in a structure fire, Huffstuddler told Evans. After consulting the Tennessee Municipal League, Jasper's insurer, and the University of Tennessee's Municipal Technical Advisory Service, Evans said that's not true. Evans stood up and produced some 1989-model fire helmets that were behind a desk where the board members sit during meetings. "I dug 13 out of the garbage," he said. "I dug out 13 helmets, and you tell me what's wrong with those right there. Those were in the garbage, and I asked TML and MTAS about it. They're still usable." "No sir, they are not, and that's negotiable, sir," former interim fire chief Earl Jones told Evans. It is "appropriate" to update firefighters' equipment every 10 years, Huffstuddler said. "We don't say a police officer has never been shot, so we ain't going to buy a bulletproof vest," Jennings said. "Maybe that's why our department was failing. We wasn't giving them the safety that they needed to go in those structures." Evans said larger fire departments are "subjected to different environments" than Jasper's. Jasper averages "maybe 100" fires per year, he said. "And of those 100 fires, you're only actually fighting fires maybe five times a year," Evans said. He said he knew he was "fighting a losing battle." "I want to give the men their equipment to do the job, just like our street crew and everyplace else," Evans said. "State law says you don't throw it in the garbage. You surplus it." City Attorney Mark Raines said the board has made "some pretty drastic changes" at the fire hall recently, but procedures still need to be followed to discard obsolete equipment. After the lengthy discussion, the board voted unanimously to spend $33,491 to fix both trucks and order more turnout gear. The thermal imaging camera and gas meter were not included in the purchase approval.